Course closed – Watch this space as looks like it has been bought out so may return in 2018! 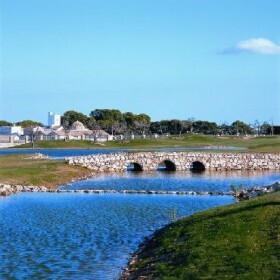 The Peraleja golf club is located in one of the best golf regions near the Mediterranean. This is an outstanding course and has to be seen to be believed. 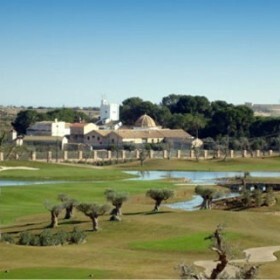 Severiano Ballesteros, one of the greatest golfers of history has designed, planned and directed Peraleja Golf Course. The round reflects his extensive experience obtained by competing so many years in International tournaments and having designed more than 30 golf courses around the world. The course features four large lakes which are connected by a flowing stream that runs through the resort. It has been designed to make the most of the rugged landscape and whilst it is a challenging course with some difficult greens and strategically placed hazzards it will be enjoyed by golfers of all levels. Additional services include a wonderful clubhouse with Piano Bar and Restaurant. A practice area which includes practice bunker, putting green and golfing school. A great setting and great attentive staff.